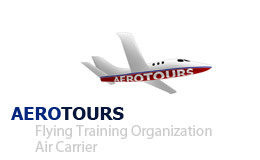 The following are the courses offered by AEROTOURS ATO, to which you can register. If you have any questions, do not hesitate to contact us. > 4 places available - Sign up now! > 2 places available - Sign up now! unfortunately Course is booked up! Sufficient places available! - Sign up now! Few places available - Sign up now!